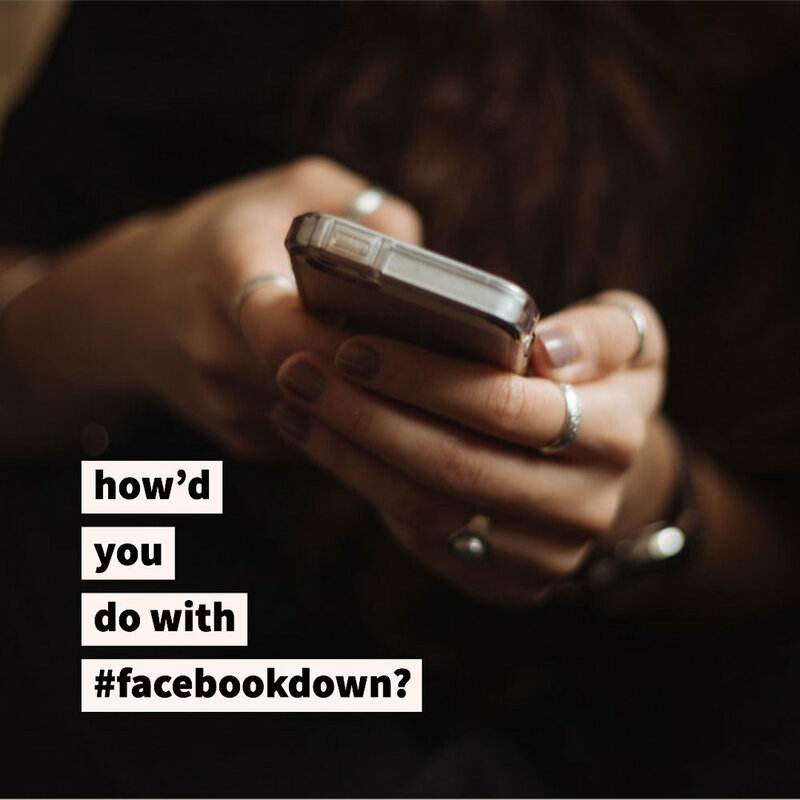 social media went down...how'd you spend the time? — doreen dodgen-magee psy.d. social media went down...how'd you spend the time? Today Facebook gave us what we’ve all been needing: some time off of Facebook. Given it’s ownership of Instagram, Messenger, and WhatsApp we freed up some time spent in those places as well. Other random apps originating from Facebook were also no-gos so we all got a lot of time to rest and refresh, right? From what I’m hearing, not so much. While the tech giant suffered it’s longest ever international outage (10 hours and counting), Twitter was lit. #FacebookDown and #InstagramDown trended for much of the day on Twitter, where, along with Snapchat and YouTube, the “We are the champions of the world” soundtrack playing in the background was almost palpable. Moderate to heavy engagers of Facebook, Messenger, Instagram, and WhatsApp spent a lot of time today fretting, some speculating they’d been targeted or shadow ghosted and others getting angry, trying again and again to refresh their feeds to no avail. I can only imagine that those Facebook IT professionals tasked with solving the outage must be frantic and frazzled. I’m sure they’re feeling the weight of the international panic and hate. Few folks connected to the app are having a good day. We, as humans, don’t particularly like to be be uncomfortable or inconvenienced. We like things to work as they have in the past and we like them to do so with very little attention from us. So, when we’re used to being entertained while we wait at a red light or in line at a store, when we’re used to being informed at any point in the day we’d like, when we’re used to being able to communicate in a certain platform and a certain way, we don’t take it lightly when we no longer can. Have I maintained my flexibility and openness to how I can communicate? Have I kept an array of communication tools in my skills list? When I can’t message someone, what stops me from giving them a call? Have I maintained my ability to be bored/unstimulated? Can I wait in line without being entertained? Can I spend time alone without needing constant stimulation? Have I maintained my ability to focus? When I hear a text come in or notice an alert from Facebook come through, can I continue to tend to what is at hand, waiting until my focus is no longer needed to tend to the distraction? Can I moderate my emotions and my FOMO (fear of missing out)? When I feel frustrated, angry, or afraid (as many did today), when I face the unknown, when I face an obstacle, do I have tools at the ready to soothe myself? Can I bring myself to a place of emotional and behavioral regulation? Can I live a rich and interesting life apart from being able to share it? Are experiences as rich when experienced alone as they are when featured on my story? Without likes and follows do my actions, and my very self, matter? Days like yesterday are important for reminding us where our priorities lie. Without any effort or control on our part, our values are made clear by how we respond to being uncomfortable, catapulted into what has become the unknown. We’d do well to tend to what we notice and choose, with greater intentionality, the values and preferences we unconsciously live by. It just might be that today was a gift. We just need to recognize it.